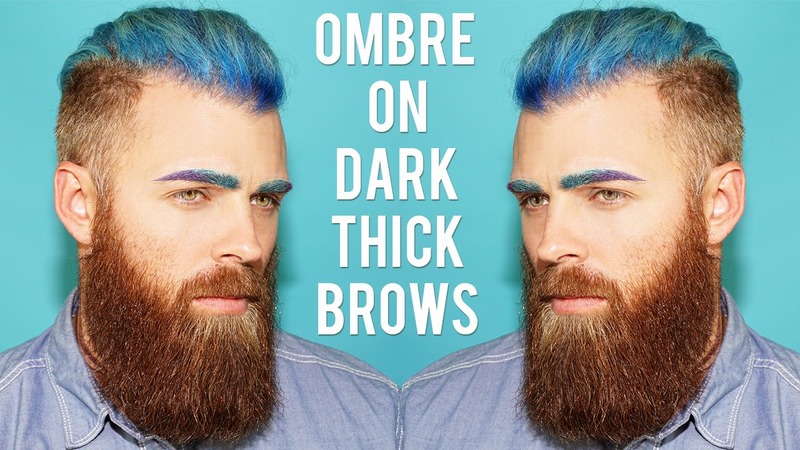 Colored Ombre Brows on Thick, Dark Eyebrows, Without Bleach! So I've gotten a lot of comments on my pictures, posts, etc basically saying that you'd LOVE to try the ombre eyebrow thing, but you think your eyebrows are too thick or busy. That's just not the case! I decided to re-create my same look on my fiancé who has large, busy eyebrows! Cause dang, if we can cover his brows with magical colors, than ANYONE can! The brand and quality of eyeshadow you use is very important! It must be HIGHLY pigmented, which is why I use the Urban Decay Electric Palette. A fan reminded, a large white (oil free) colored pencil can really help cover darker colored brows as well! Share any tricks you've discovered here!